These are some active learning games for the hundreds grid. Created for our Jump2math programs and teacher classrooms. You can create the grid with chalk or get your own Hundreds Grid. See below this blog. When the students arrive at your station ask them to sit down (in front of the last line of the grid etc.). 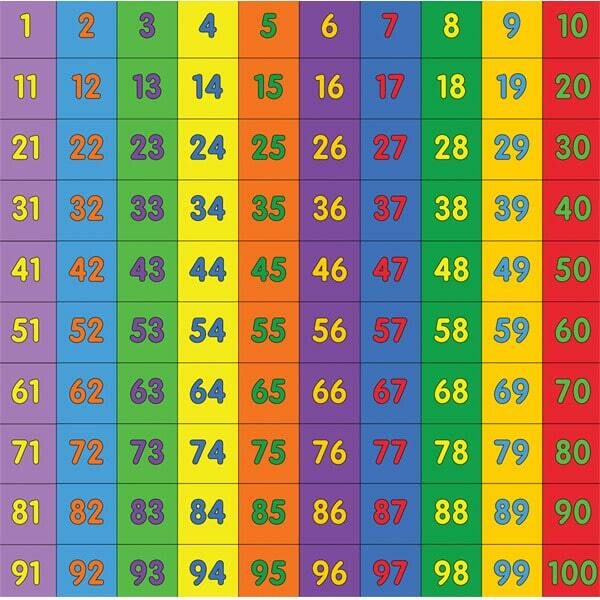 You may ask the students what they ‘notice’ or know about the hundreds grid. Their answers will help you to know what they know about numbers. Keep this part brief. 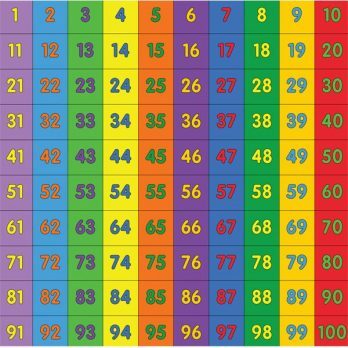 Warm-up: Ask each child “What’s your favourite number between 1 and 100?” The child tells you their favorite number and then stands on it. They may need help finding the number. Repeat. If the number is already taken, a friend removes the previous cubes so that the new cubes can be placed on the number. 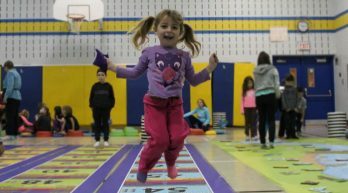 Adding jumping jacks and running on the spot to math and language classes helps students to learn, say Dutch researchers, adding to findings on the benefits of physically active lessons. In Wednesday’s issue of the journal Pediatrics, researchers compared standardized math and spelling test scores for 499 children who were randomly assigned to physically active math and language lessons or regular instructions for two years. The students in the physically active group were four months ahead of the others in their spelling and math achievement, Marijke Mullender-Wijnsma of the Center for Human Movement Sciences at the University Medical Center Groningen and her co-authors found.